In New Jersey, when a driver is facing charges for driving while intoxicated, one of the biggest concerns is what will happen if there is a conviction. Since the penalties for a DWI conviction vary depending on the circumstances and the amount of alcohol in the system, a defendant might want to think about a plea bargain to make the penalties less harsh. 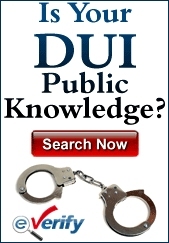 In New Jersey, however, DWI is a traffic offense and not a criminal offense. With a DWI, plea bargains are not only not given, they’re not even legal. 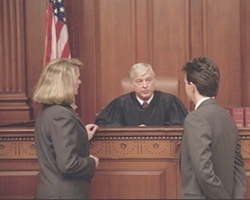 In fact, for a Municipal Court Judge, there must be a legitimate issue with the proof that the defendant committed the offense for the charges to be downgraded or dismissed. That said, there are options that a prosecutor will have to reduce the charges without specifically giving a plea bargain. This wiggle room is not a plea bargain per se, but it functions in much the same way. When a driver is stopped on suspicion of DWI, the officer has to have a justifiable reason to make the stop. For example, driving through a red light, swerving between lanes and driving on the shoulder of the road are reasons for the officer to investigate. As the officer interacts with the driver, signs of intoxication will be looked for. These can include slurred speech, bloodshot eyes and the smell of alcohol. If these are still indications that the driver has been drinking, the officer will ask the driver to take field sobriety tests such as the Walk and Turn test and the One-Leg Stand test. Then there will be a breathalyzer given. The driver is required to take the breathalyzer test due to the law of implied consent. If he or she refuses, there will be an added charge of refusal whether the driver had a blood alcohol content above the legal limit or not. With a breath test, the officer must observe the driver for 20 uninterrupted minutes to ensure nothing is done – smoking a cigarette, chewing gum, regurgitating – to compromise the validity of the test. If the BAC for a driver 21 or over registers 0.08% or above, there will be an arrest for DWI. For a driver under 21, the level is 0.01%. Commercial drivers will be arrested if it registers 0.04% or above. When a driver is arrested for DWI, the penalties depend on the number of times he or she has been arrested and the amount of alcohol in the system. For a conviction on first offense DWI with a BAC of 0.08% and below 0.10%, the driver will be confronted with a three month driver’s license suspension. There will be a fine of between $250 and $400. There might be a jail sentence of up to 30 days. There will be a surcharge of $1,000 per year for three years. $100 will be paid to both the Alcohol Education and Rehabilitation Fund (AERF) and the drunk driving fund. $230 will be paid to the Intoxicated Driver Resource Center (IDRC). $75 will go to the Neighborhood Services Fund. With subsequent arrests and higher BAC, the penalties will increase. Given that the penalties are so onerous, it’s understandable that drivers would be interested in a plea bargain. While drivers are not able to negotiate a plea bargain to reduce DWI charges or enter into the pre-trial intervention program, there are alternatives for downgrading or dismissing them. The prosecutor has a certain amount of leeway to reduce or dismiss DWI charges. The difference between a plea bargain and reduction or dismissal is that the prosecutor must have a legal reason to do it. If there is evidence, a legal issue or proof that the driver should not face the charges, the charges can be downgraded or dismissed. In order for this to be allowed, the reason for the decision must be placed into the record and the Municipal Court Judge must review and approve it. The judge will usually ask what the resolution is; why the resolution is being presented; and whether the officer who made the arrest knows about the resolution and agrees with it. If all the questions are answered to the satisfaction of the judge, the prosecutor will be allowed to move forward with the reduction or dismissal of the charges for DWI.